Do you experience a new kind of awareness about yourself and the world around you? Are these moments of reflective awareness mixed with internal pressures and anxieties that you cannot fully explain? If yes, you may be part of the quiet transformation that is underway. Simply put, yesterday’s ways and holding patterns can no longer support the shifting dynamics at play. On the positive side, this shift awakens in many a new kind of creativity, a need to redress balance or a wish to alter things and make a difference. On the struggle side there is a pressure to assimilate, adapt and respond to a changing world with increasing ambiguity. As the 21st century unfolds, we find that the models of the past still offer lessons but cannot provide the answers and solutions we now need. Leaders from all sectors of society are discovering that the demands of true leadership are much greater than a skillfully learned behavioral model. 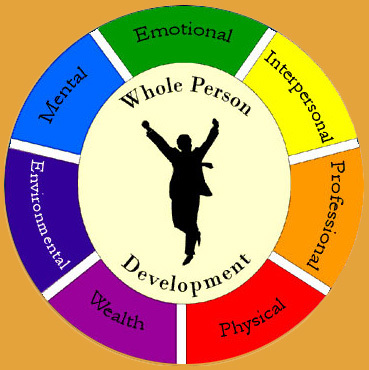 The essence of this transformation concerns a need in oneself to envision an integrated whole-person-development. Successful and effective living means a balanced and integrated 360 degree approach to growth and wellness. Leaders and organizations that take this into account attract and retain the best talent and flourish. Today’s managers are challenged inside circumstances of unprecedented change, speed and intensity. Imagine the following scenario: driving out to the country you take along a roadmap. Well, imagine the roads changing as you drive. The map no longer matches what you see. You hope the compass is going to give you direction but it starts spinning because you enter a higher magnetic field. Sounds like science fiction? Perhaps, but isn’t your experience as a manager these days a bit like that? You come to a point where you can no longer trust the map or the compass. What you need is to know where you stand, to know where you are. You are compelled to discover an integrated big-picture view and find yourself inside it. You emerge with questions such as: what really matters? What is really important for me as a leader? What is long-lasting and how can I do the best for my people? Perhaps you experience a deeper sense of compassion, a responsibility or a calling, when you realize that for the people looking up to you, you are the roadmap even when the map is shifting in front of your eyes. Your core values and the way you do things act as the compass for the people around you. In this shift, many leaders are driven back into themselves, to discover a template inside they can trust. Being able to understand and renew oneself is an important aspect of integrated whole-person-development. It is the foundation of true leadership. Managers that lead their organization to greatness are compelled to manifest a set of core values and purpose. They come out of this core as their leadership template which propels them to self-renewal of vision through changing times. As these spheres merge with each other they are the expressions of a leader’s integrity and continual growth. They create the support for a leader to serve a bigger cause and to be the enabler for others to find themselves and fulfill their aspirations.